What a fun start to the term! 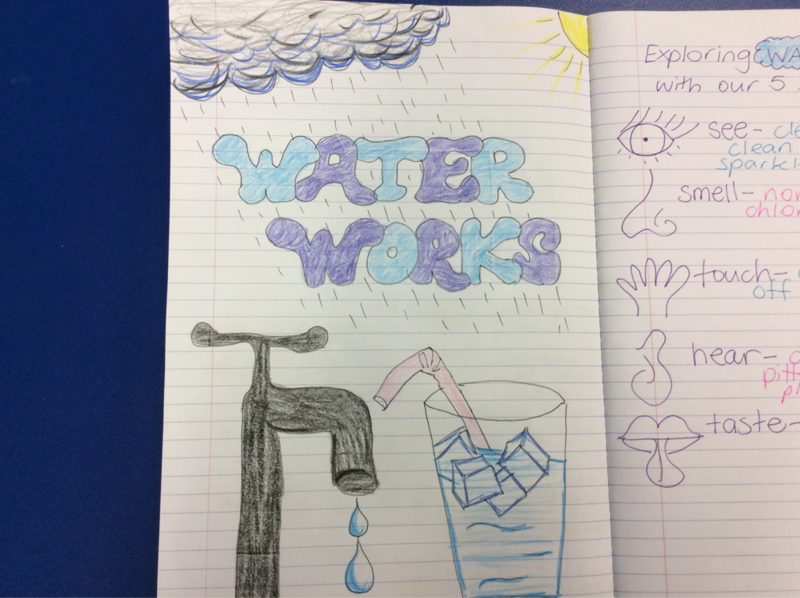 This week we talked about water and how the water might get from the clouds to our taps. The year 2 students already know so much about the water cycle! 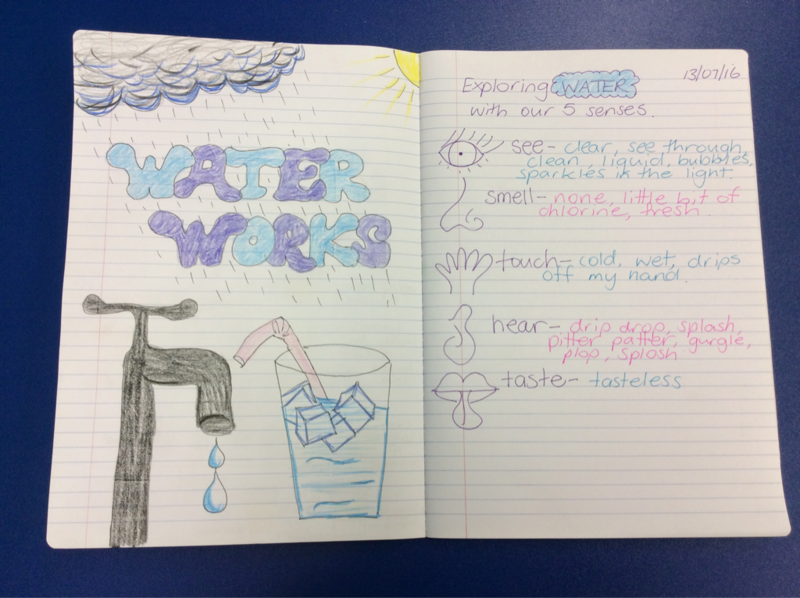 We started to set up our science notebook by preparing a beautiful title page with fancy writing and pictures relating to water (Mrs Marini might have helped a bit with the bubble writing!). 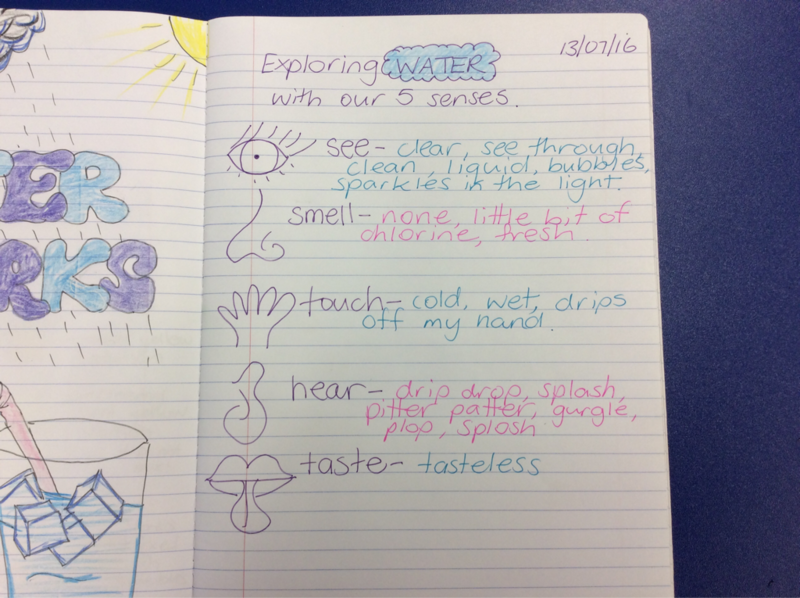 Then we explored water through our 5 senses. The water we touched was cold, and didn't smell of anything although some of the students said it smelled like bubble gum! We listened to the sound water made and what it looked like. We tasted the water which was from the tap and decided that it tasted a teeny bit like chlorine, otherwise it just tasted like water - tasteless! We never really thought so much about water. Mrs Marini told us that water never disappears it just keeps on going around and around the water cycle. She told us that the water we drink is the same water that the dinosaurs drank!